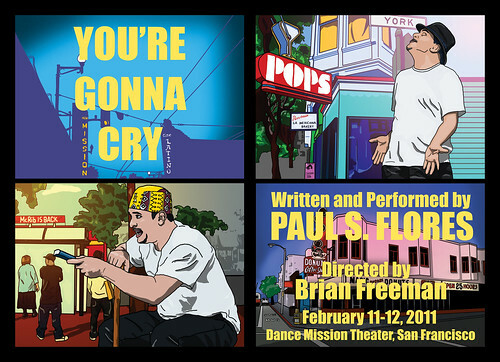 I’m really happy to announce that my creative relationship with writer/performer Paul Flores is continuing this February for his latest production. On top of designing his latest promotional materials I’m also designing the set for the show. I’m super excited! 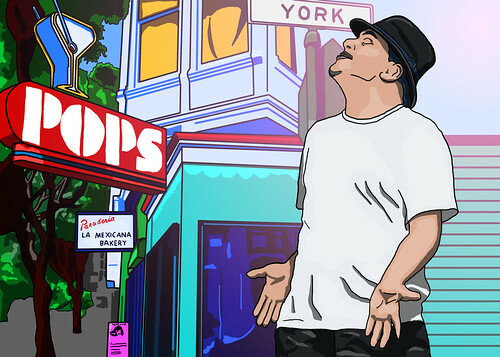 HBO Def Poet and Youth Speaks co-founder Paul S. Flores takes us back to the 1990’s to capture the abrupt changes seen throughout the Mission District brought on by the dot-com boom and bust, the real estate bubble, constant immigration and forced evictions. 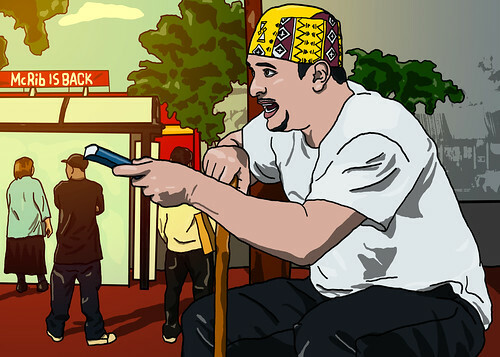 Portraying a kaleidoscope of offbeat, vibrant characters, Flores gives voice to the techies looking to remodel the place, to the Latino bohemians wandering the bars and cafes, to locals and immigrants with a stake in the heart of San Francisco’s oldest neighborhood. At the crux of You’re Gonna Cry is a heartbreaking story chronicling the human cost of gentrification. Flores brings a critical perspective combined with raw realism and even a gangster puppet show to illuminate a historic moment when the city’s facade and cultural landscape changed. Next postAlter Egos Y Que! – Along with every little thing that seems to be building within this particular area, a significant percentage of opinions tend to be fairly radical. On the other hand, I beg your pardon, because I can not give credence to your whole suggestion, all be it exrtlahaiing none the less. It would seem to everybody that your comments are actually not totally validated and in reality you are generally your self not wholly certain of the assertion. In any case I did enjoy looking at it. Finding out your name and address is easy. You can make it harder by purchasing privacy to protect your WhoIs / owner information on your domain. It’s all based off domain registration, not hosting information. Since I’ve had my new domains protected (free from my registrar) I’ve gotten no more notices.